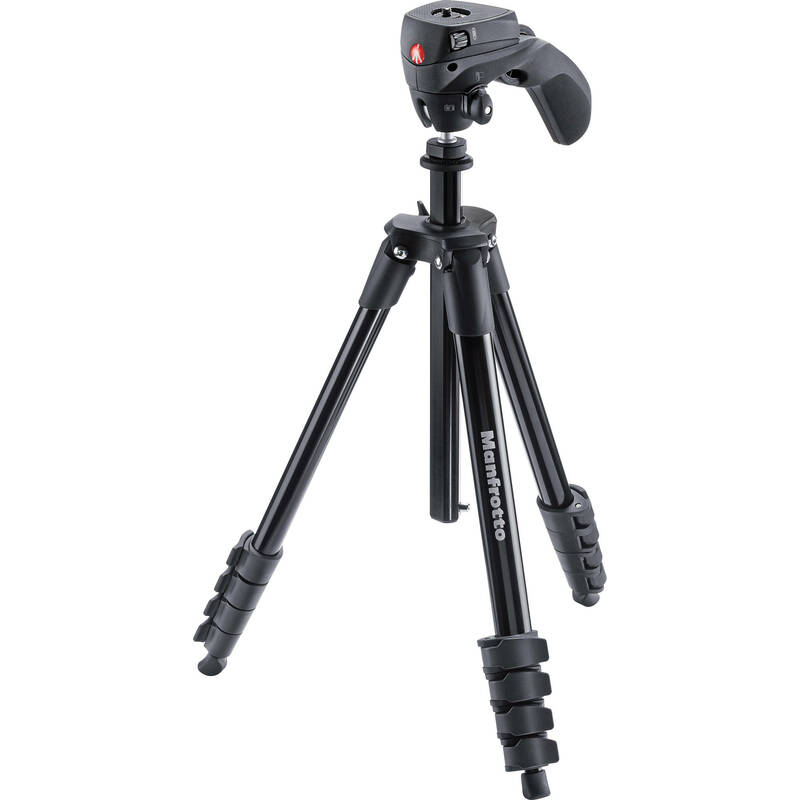 The Manfrotto Compact Action Tripod Kit is a black light weight compact aluminium tripod. Can hold up to 1.5kg. The Manfrotto Compact Action Tripod Kit is a black aluminium tripod that is a five section camera support. 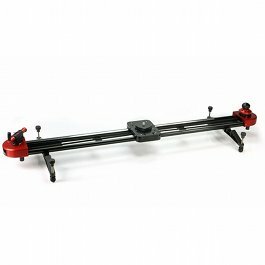 This tripod can support up to 1.5 kg extending out to 155cm and weighs 1.2kg. On the grip head of the tripod there is a knob that can be switched between photo and video function. Whilst using the video function, the head will keep your camera level on a horizontal plane allowing smooth pans. 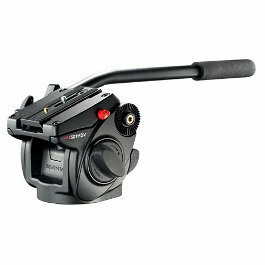 When the knob is changed to photo function, maximum control can be achieved by moving your camera on all axes freely. 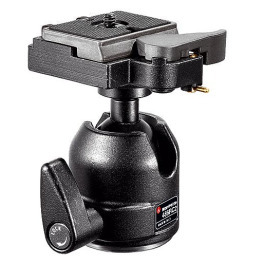 The quick release plate included attaches to most cameras via a 1/4″-20 tripod mount. There is also a scroll-wheel locking mechanism located on the ergonomic grip. This locks and unlocks the movement of the head.